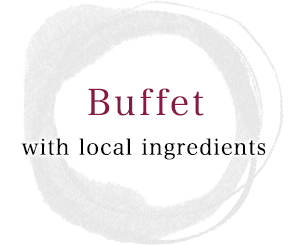 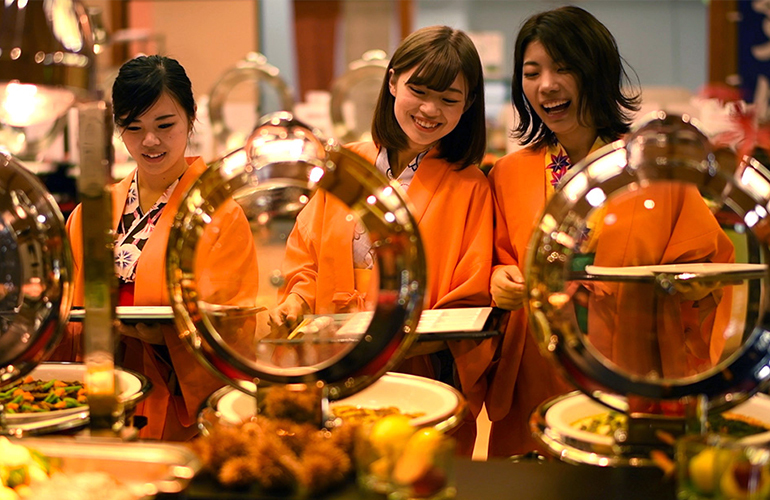 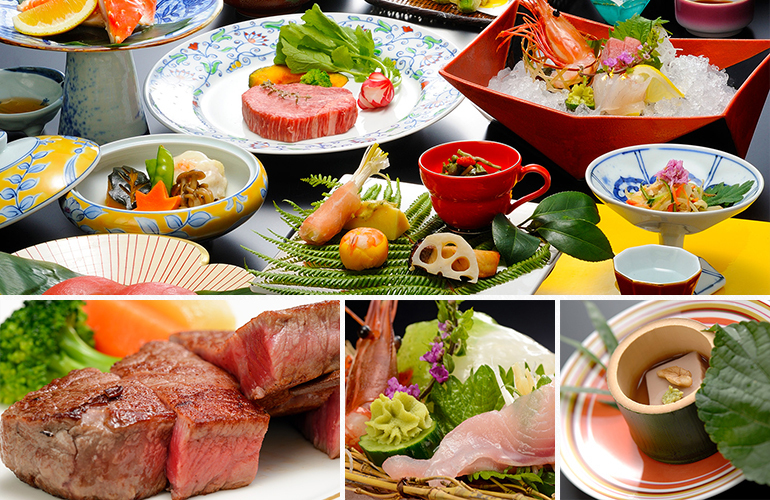 Buffet and banquet dishes with seasonal ingredients. 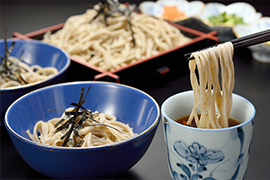 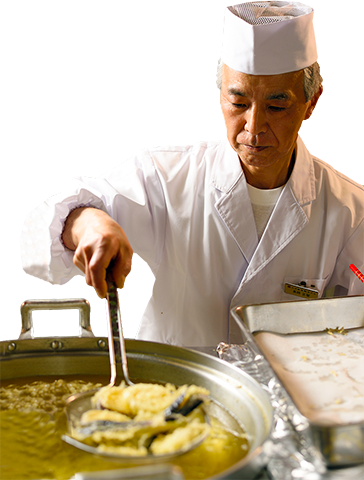 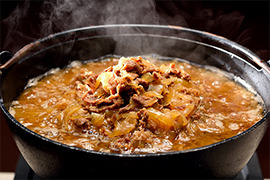 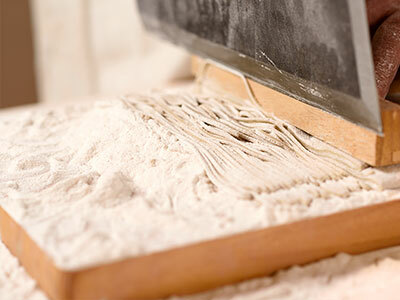 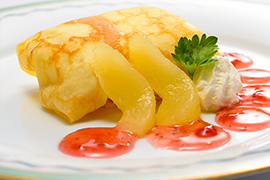 Enjoy a variety of dishes made from the finest local ingredients and brands such as gyudon with Yonezawa beef, local farm fresh vegetables, and a demonstration of handmade soba and crepes filled with locally-grown seasonal fruits. 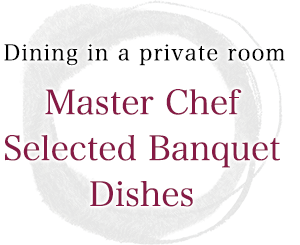 We always take pride in our quest to serve cuisine that reflects seasonal ingredients and satisfies our guests. 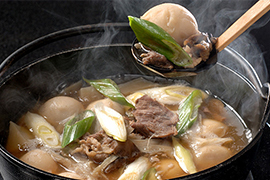 Enjoy the tastes of Yamagata’s seasonal foods. 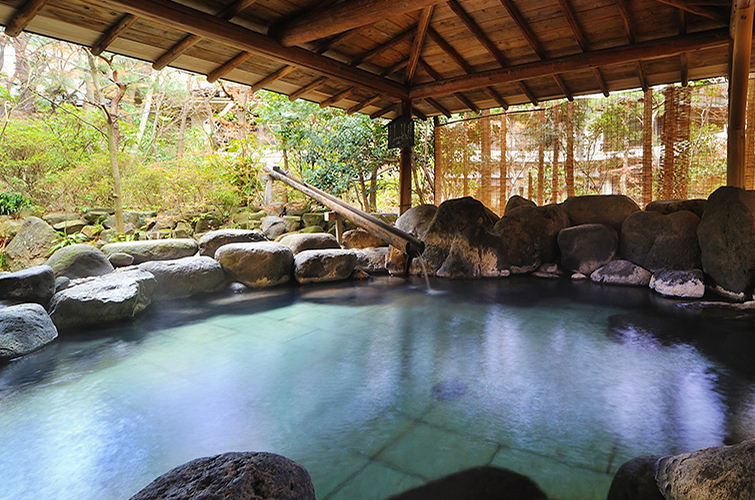 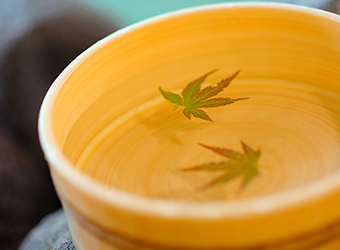 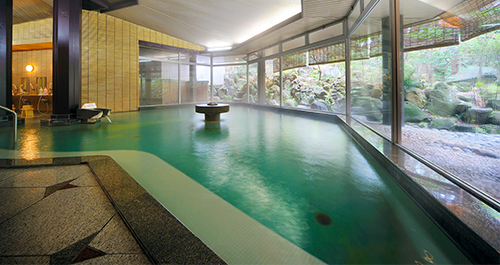 Open since 1458, Kaminoyama Spa Resort offers you a comforting hot spring bath. 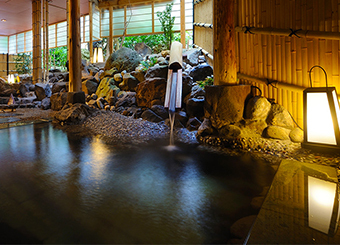 According to legend, Kaminoyama Spa Resort has its origins in the Buddhist Monk Gesshu who, during his journey, saw a crane soaking its legs in bubbling hot water in a marsh and then took flight after a time of recuperation from its wound. 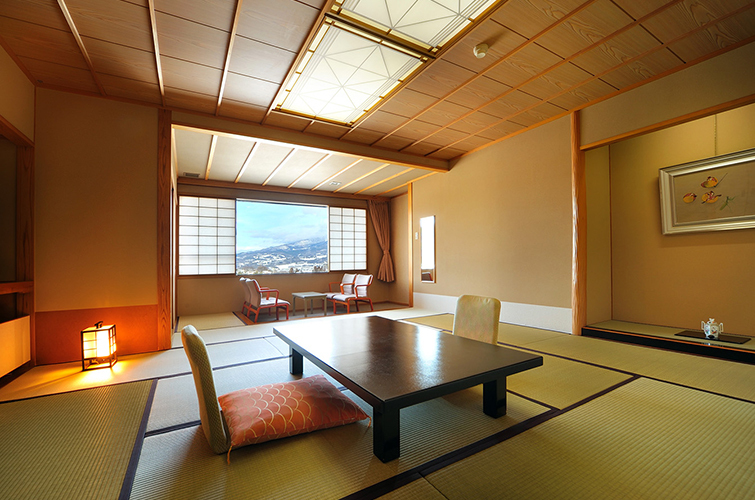 A guest room reminiscent of days long ado. 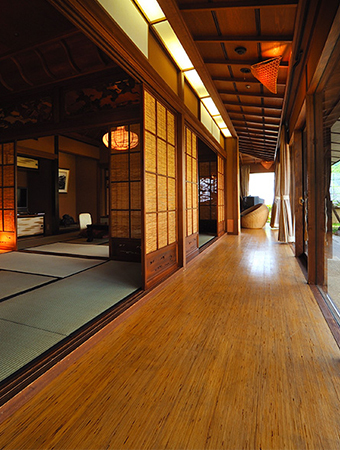 Tsukioka Hotel mainly consists of Japanese-style rooms where you can fully sense the atmosphere of Japan. 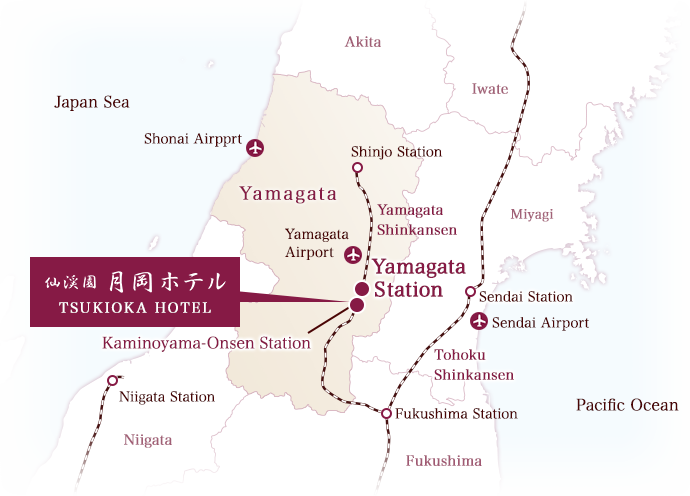 Please use our convenient courtesy car from JR Kaminoyama-Onsen Station. 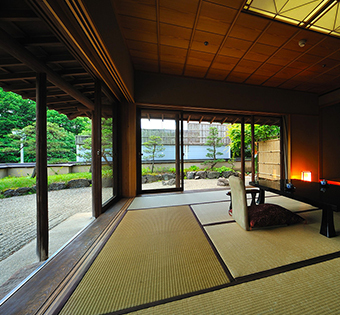 *Reservations are required by the previous day.